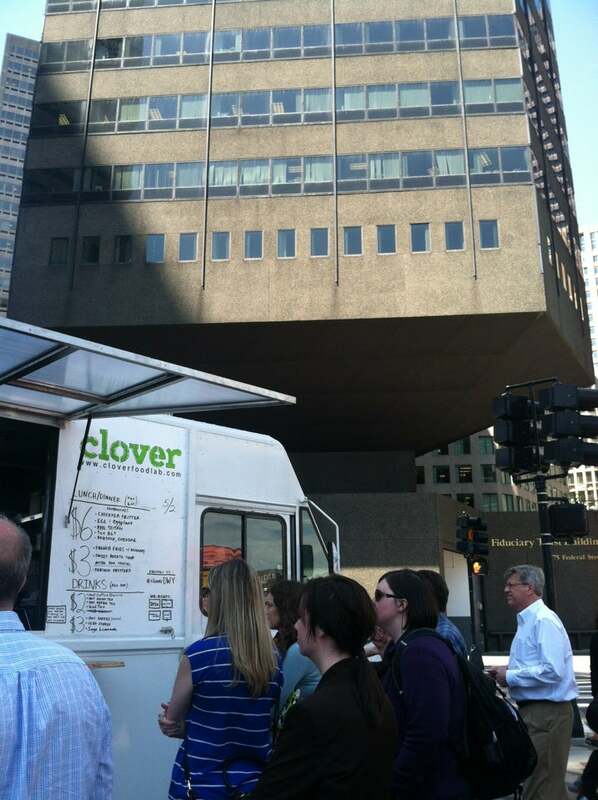 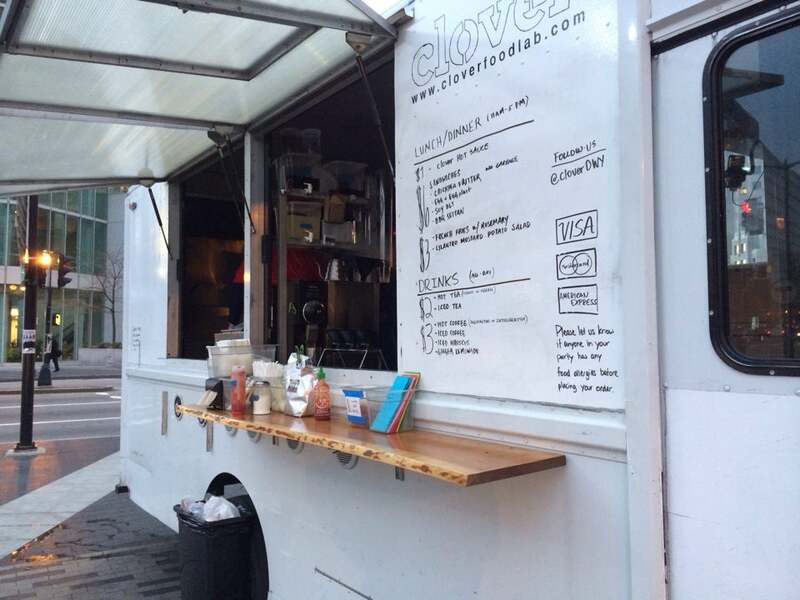 Clover Food Lab is the largest gourmet food truck enterprise in the Boston area. 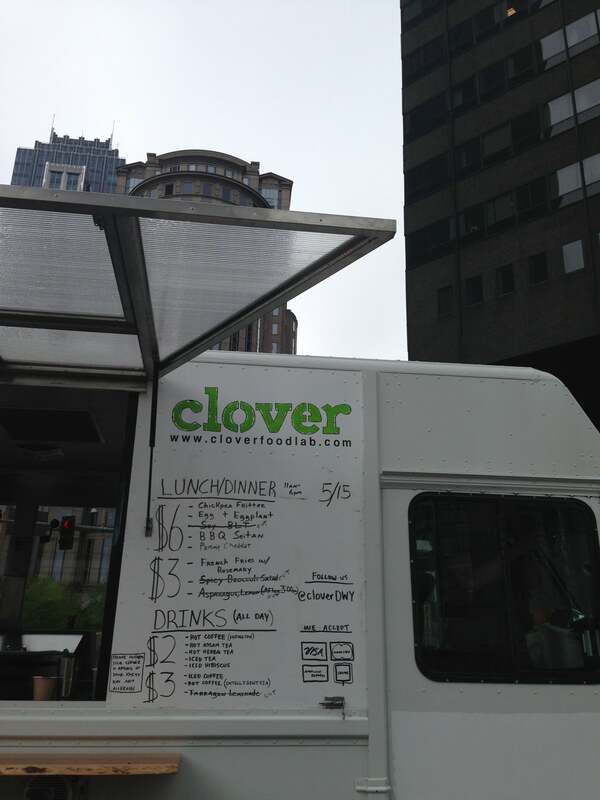 Founded in 2008 by Ayr Muir with a truck at MIT, Clover has grown to multiple trucks on the road every day, and 5 very busy restaurant locations. 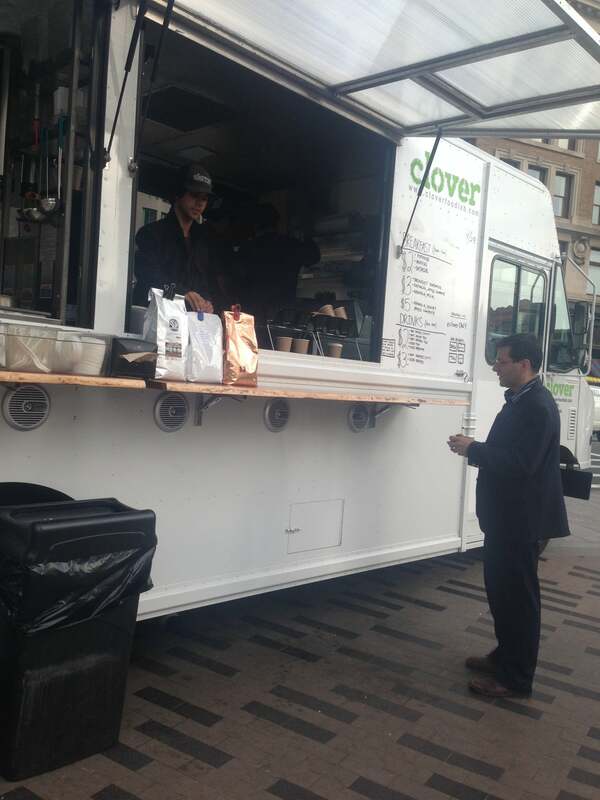 Ayr started with food trucks as a way to test food and business models, with the long-term plan of bringing healthy fast food to the world. 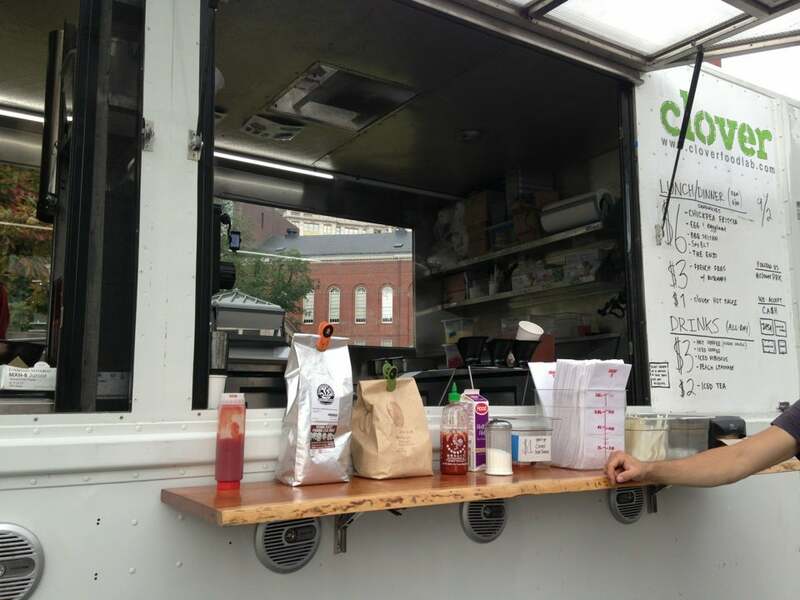 The original menu was developed with Chef Rolando Robledo, who Ayr lured away from a teaching job at Johnson and Wales University. 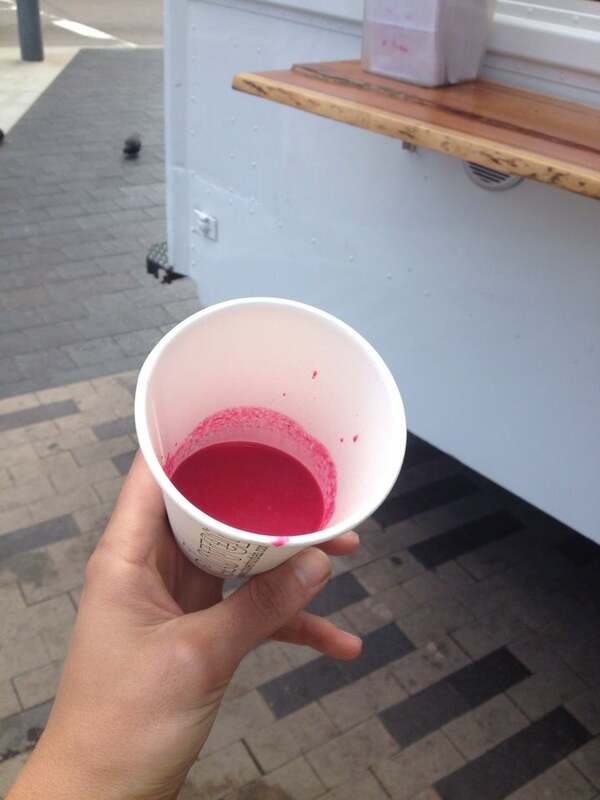 Robledo has worked with such food industry luminaries as Thomas Keller and Grant Achatz. 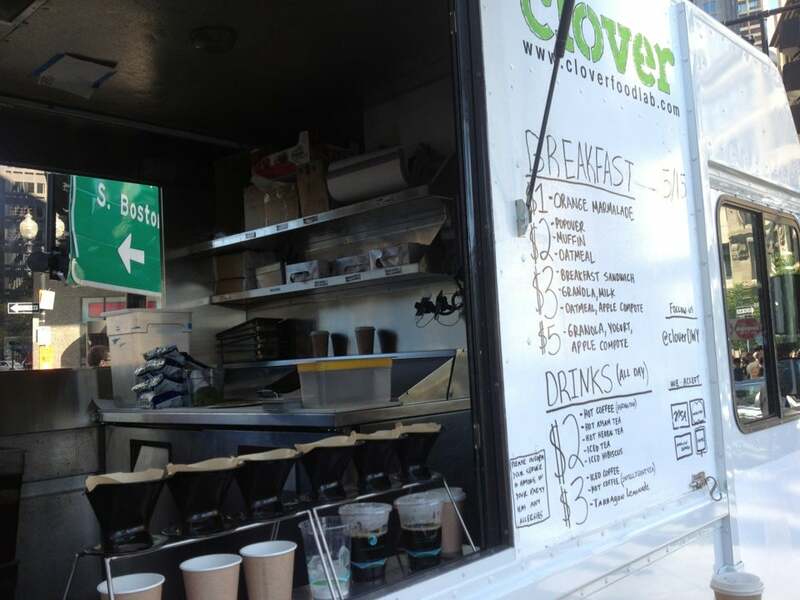 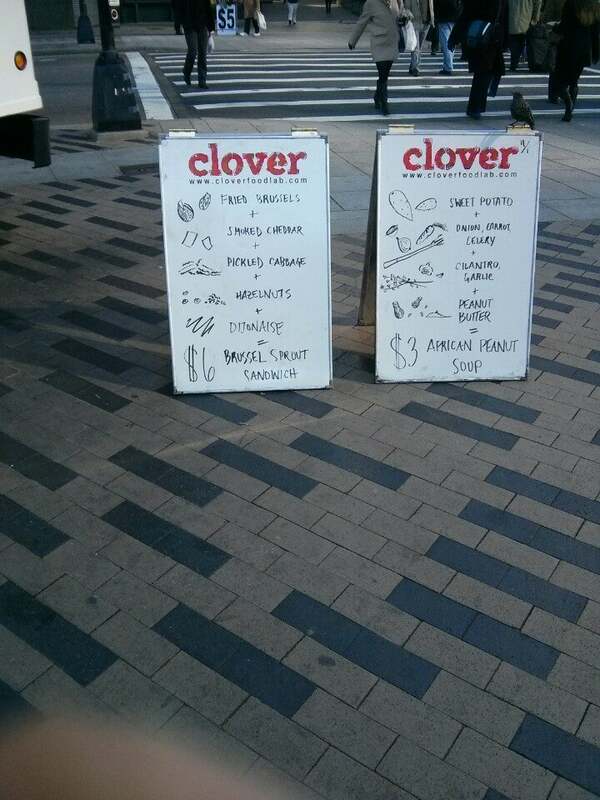 The Clover menu consists of healthy sandwiches—all prepared with fresh, wholesome ingredients and without meat. 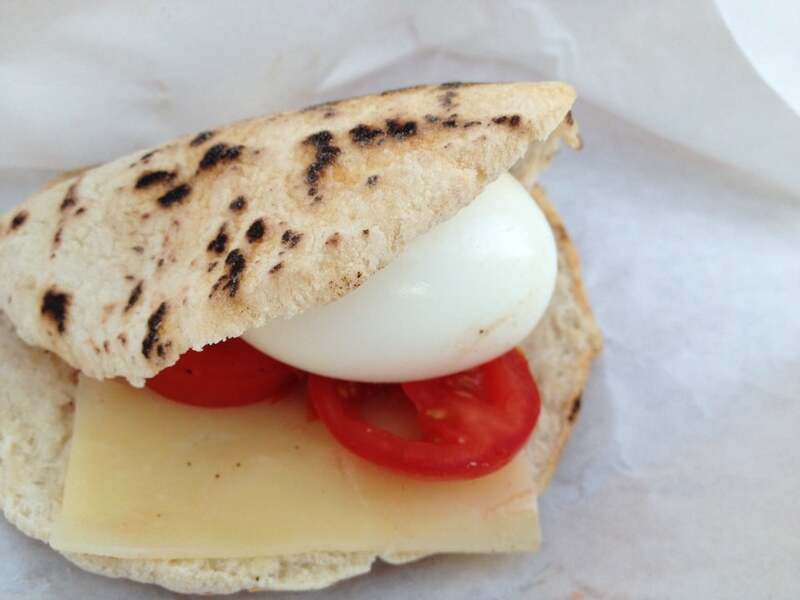 But you won't find their vegie nature mentioned anywhere on the truck: Ayr has said the best way to sell vegetarian food is not to tell people it's vegetarian. 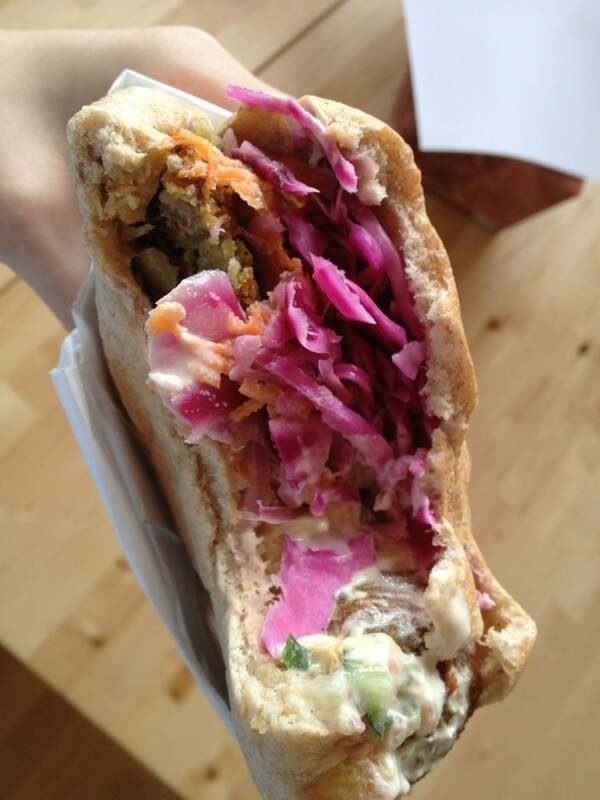 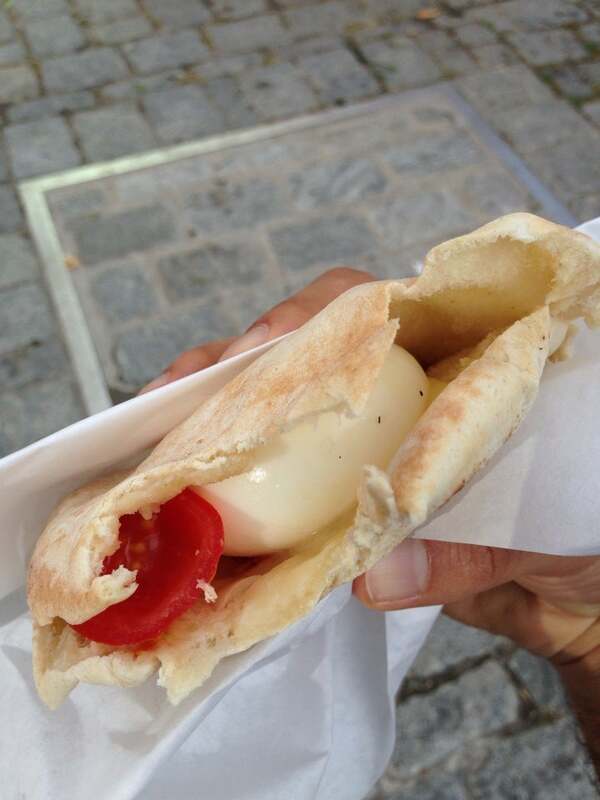 Some favorites include old favorites the Chickpea Fritter, the Egg & Eggplant. 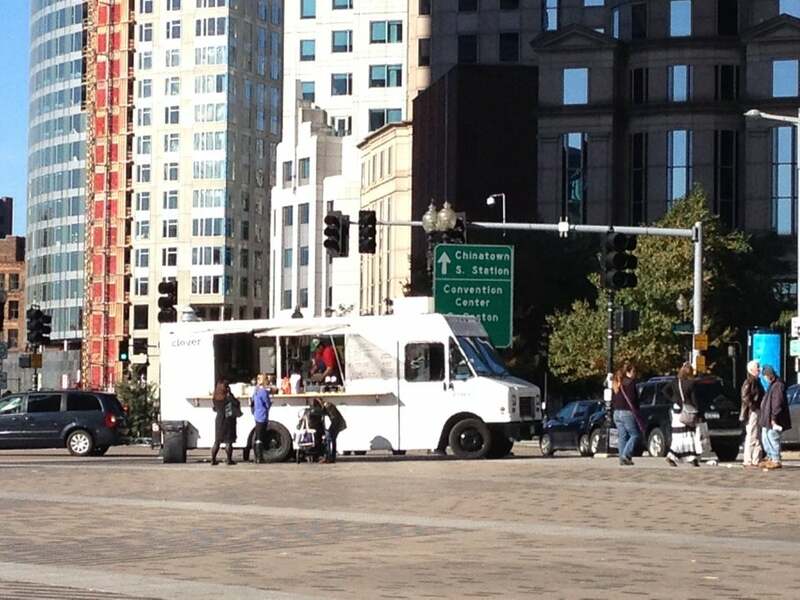 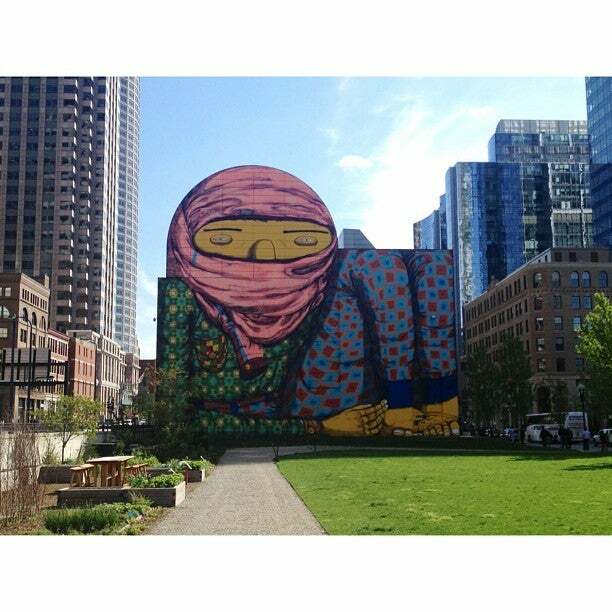 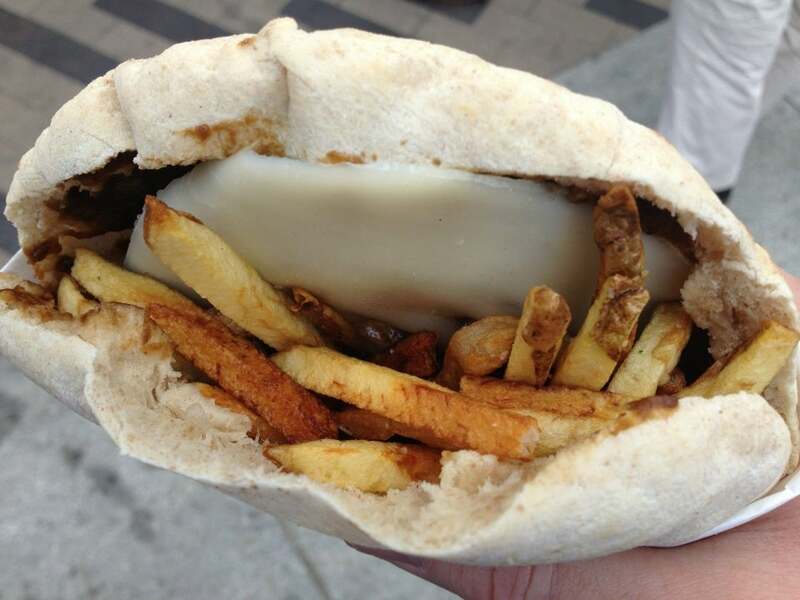 You may also find the seductive scent of the Rosemary Fries wafting across Dewey Square hard to resist.